Rocks and other debris – Rocks that fly up from the roadway toward your car can cause a chip or even a large crack. The same can be said for other debris that accumulates storms, potholes, and even items that have fallen from others’ vehicles. While these things may seem to be out of your control, you do get to choose how you react. 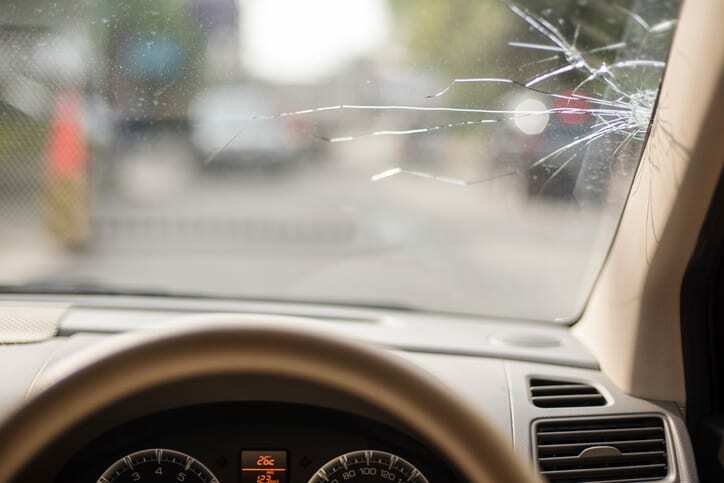 Get any damage to your windshield, windows, or mirrors fixed as quickly as possible and you may be able to avoid having to replace the entire piece of glass. Changes in temperature – In the southeastern United States, the weather can get a little crazy – especially in the spring. Temperatures may fluctuate wildly from morning to night. If you already have auto glass damage, rapid changes in temperature can cause a tiny chip to turn into a larger crack. This can turn what would be a simple repair into a full-on auto glass replacement. Improper installation or faulty glass – If your glass was not properly installed on your vehicle, it may not have the integrity needed to withstand these obstacles. The quality of your glass matters, too. Poor auto glass isn’t just prone to more repairs. It’s also dangerous. Only work with professional, reputable auto glass repair shops like ours. If you need auto glass near you, call A-1 Glass Masters. Our auto glass repair business prides itself on helping drivers with windshield repairs and replacement, as well as all other types of auto glass issues. Talk to our staff today to find out about your auto glass replacement cost.